I can still remember that time when I got back to the campsite from an hour-long hike feeling very thirsty. I was looking for some cold water or beverage to pour down my throat, but I only had a water jug inside my backpack, so I have to settle for regular water. That’s when I realized the importance of bringing a cooler in these outdoor trips. If like me, you also love the outdoors, then it is safe to assume that you too are looking for a nice cooler. Coolers are one of the most useful, yet underrated, things to have in your home. This applies especially if you live in countries that are very cold or particularly hot. Luckily for you, we are going to review one of the most popular coolers on the market today – the Ozark Trail Cooler. You see, with a cooler like this, you can store your food and drink in it without having to worry about the cooler being unreasonably heavy to carry around. Its thick walls provide good insulation. It has walls with lids that do not compress easily under pressure since they are filled with air. And because of the sturdiness of these coolers, they can also be utilized as seats. These items have great seals surrounding the lids and openings like the drain plug. You can keep food and beverage cold with good sealing. Some lids may be textured, but they may also be difficult to clean. These products have flush-mounted drains and smoother surfaces that don’t trap food particles and dirt. Dry ice is great for keeping your food cold, but they can also damage the cooler. But Ozark trail coolers are among those that are compatible to dry ice use. It is important to keep dry ice heavily wrapped though so they don’t touch your cooler’s liner and damage them. Wheels make maneuvering a loaded cooler with easier to do. There are brands of Ozark trail coolers that come with wheels. The handles are designed to be robust for easier grip. Shoulder straps can be applicable for smaller coolers while the large wheel types might require pull handles. You can try one that matches your height. Check the handle placement and design and make sure they facilitate easy carriage. A number of them may be difficult to handle. Drain plugs help drain melted ice inside your cooler without having to up-end it, and this is useful for large coolers that are heavy at the tip. Plugs, bungs or stoppers that can seal drain holes fit well and come with some retention device, so they are always kept in place. Hose fittings make draining your cooler a lot easier. Lids and latches must be easier to close and open; one-handed variations are easier to use in general. Hinged lids are very heavy and may lead the cooler to fall over while it’s empty. Some Ozark trail cooler has a padlockable latch that helps ensure your stuff is safe while your cooler is on the campground, boat and unattended. The Ozark Trail 73-Quart Cooler is awesome trailer cooler featuring premium insulation, keeping ice for over nine days. Its jagged construction makes it a perfect cooler for outdoor activities. Some customers claim it’s not ideal for long travels. 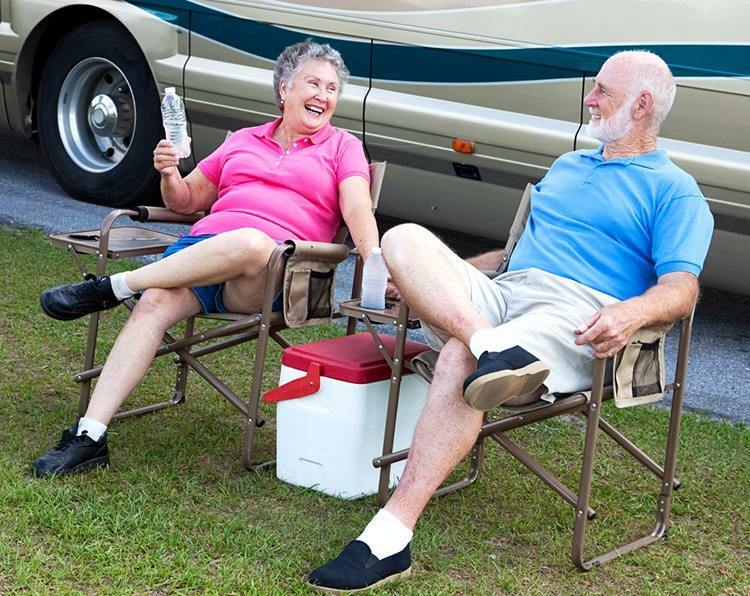 Bring along the Ozark Trail 24-Can Cooler and enjoy a cool beverage on a scorching day. It’s a perfect addition to any activities, including camping, a day at the beach, tailgating and picnics. This black cooler has a 3-inch expandable top, an easy-to-maintain Hardliner, and an adjustable shoulder strap. The Ozark Trail 24-Can Cooler features Cold Sensor technology, which notifies you about its coldness, wherein its cold sensor turns a certain color (blue) when it is cold. The product can hold 24 cans and ice, and also collapsible for easier storage. Some customers claim it’s not suitable for long travels. The Ozark Trail 36-Can Cooler is a durable product with cool features: front zipper pocket, an expandable top, an antimicrobial treated liner and side mesh pockets, as well as an adjustable shoulder strap making it easier to carry. This cooler is made up of an insulated stainless steel making it a sturdy item for outdoor camping. The product is BPA-free and is therefore safe for use. The double-wall vacuum insulation maintains the coolness on the inside and keeping food and drinks cold. Could be heavier than other models. 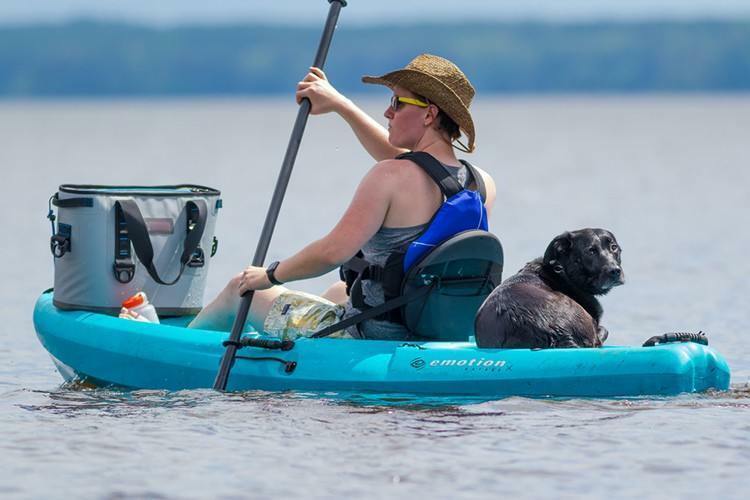 Ozark Trail does not attempt to take a new twist to the personal cooler. They do things in an extremely straightforward way. 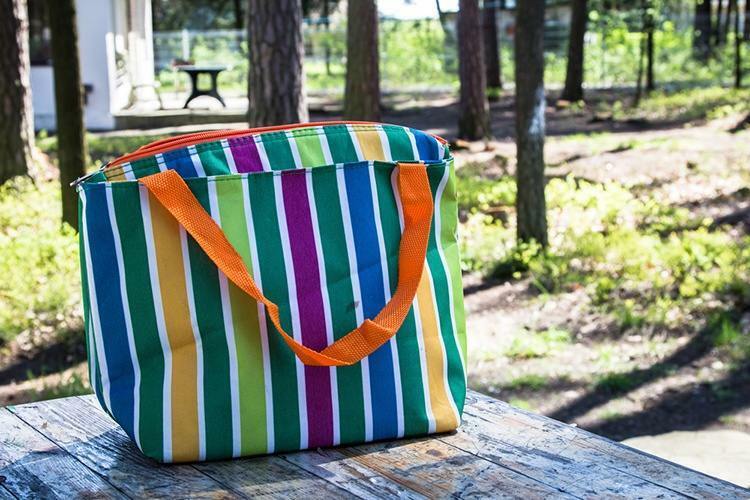 Their goal is to create an effective cooler that you can pack in your lunch or other picnic items for a day out. The manufacturer believes that this kind of mindset will work; it is reflected in their products. One of the things you will likely first see on an Ozark Trail Cooler is its uncanny mobility. They’re rightly sized, so they are easy to carry, and they’ll fit nearly anywhere including places that are usually difficult to put a cooler in like under a cat seat, a locker, the back of a motorcycle, and other sneaky places. Additionally, they are made of extremely lightweight materials, meaning these coolers are very easy to carry. Do not let its small size fool you. Coolers made by Ozark Trail have a wide array of options for external storage. These include side mesh pockets, numerous front zipper areas, as well as a collapsible overhead section. For somebody who wants to pack some food items, you should have no issues working with the cooler’s space. While its color palette lacks a little, we do love Ozark Trail’s new twist on the color scheme and pattern implement. Their designs are truly modern and offer quite a professional look. This will aid you in sticking out of the crowd. The Ozark Trail Cooler is directed towards people that only have to store a couple of items for a brief period. Thanks to that, it comes with its expected weak features including short cooling ability as well as its lacking features. Additionally, there are a few build quality issues, and its price can be quite high for what you’re getting. Cons: some versions have weak walls, some are too costly for size, the strap can unfurl. There are variations of the product that are personal, soft-top coolers made for somebody who has to keep a couple of a lunch cool or cans for a few hours for a picnic or lunch. The best feature with this cooler is the three-inch expandable top that can extend its storage capacity if necessary. Other features include front zip pockets for items you have to store that do not need cooling and side mesh pockets for extra storage. You can carry it using an overhead strap that you can hold on your shoulders or your hand. The Ozark Trail is available in multiple colors, in six and twelve-can sizes, and is made of metal, rubber, and plastic. This cooler’s cooling ability is great is many versions but rather weak in some. With that being said, some designs neither are nor meant for long-term use but rather to keep your things cool for a day or hours before eating. In that way, it’ll work, but there are better models available out there. You can be sure though that there are enough insulation and the air gaps between the base and the lid are minimal, so cold air doesn’t escape easily. You can expect cooling time to go for hours on end. After that, you’ll have to load it up with extra ice or simply consume the food items as soon as you arrive at your destination. With it being a small cooler, it’s very mobile. Since it’s a soft top and does not have loads of padding, it does not have a lot of material and is lightweight. So even when it’s full, it is still very easy to carry. The shoulder pad is big enough to fit comfortably around your shoulder without problems. But the build quality leaves much to be desired. The walls can start to fall apart even after just a few months, and the strap is quite notorious for having its threads unfurl. There are several extra storage options on the outside, but they’re also bound to the construction quality. It features four different color options: black, red, green, and blue, so it has some flexibility. In fact, the design is rather progressive and modern and looks quite nice. It has alternating patterns, colors, and the whole look combines well with the side mesh pockets and front pockets. Because of its different storage sizes, it falls in the premium price range. Its dollar per quart is quite high as well. But it does not indicate that the product is way too costly. Instead, for the price you pay; do not expect extra storage volume. We recommend the Ozark Trail Cooler to campers and backpackers. 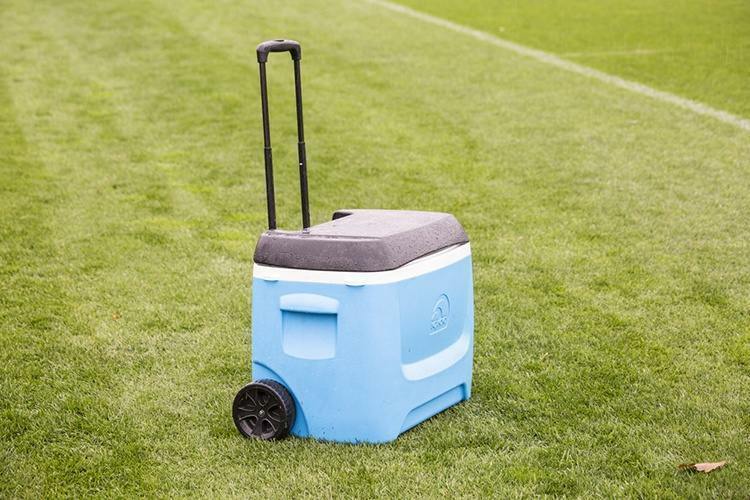 This cooler is great for both fast and lengthy outdoor activities. This brand we’ve listed above includes all reviewed Ozark Trail cooler available for sale. We also include what we believe are the best coolers of the brand. Coolers made by Ozark Trail are soft and personal-sized for those who need a product to keep their food for their backpacking activities. However, Ozark Trail coolers do not have many color or size options, especially when compared to other brands that feature a wider variety of sizes and colors, but this company does provide certain benefits that could work for you. Try to check them out! I hope you learned from this post. These trailer coolers are handy when you’re going out on a camping trip, and you need some cold drinks to quench your thirst. We recommend you one or several (depending on your needs) or the coolers we listed above. Happy Camping!